If you don’t have Pidgin you can get it here at pidgin.im, it is the most common Jabber/XMPP client and works great. We also recommend you use OTR which will ensure your conversations can’t be deciphered even if our systems are compromised. You should go here xmpp.is/docs/general/otr for our guide after you’ve signed up for an account. After filling out the above with your details, press “Add”. 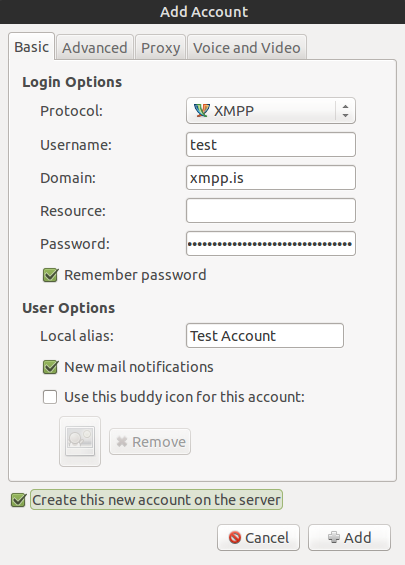 It should now connect, and you will be on your new XMPP account!